Recruiting for Good (R4G) is working collaboratively to help fund nonprofits saving the environment; and rewarding participation with fun travel to party. SANTA MONICA, CA, UNITED STATES, April 17, 2019 /EINPresswire.com/ -- Recruiting for Good is helping companies find talented professionals and generating proceeds to make a difference. The staffing agency rewards referrals with donations to fund environmental nonprofits; and party travel to experience the world's best culture, music, and sports celebrations. 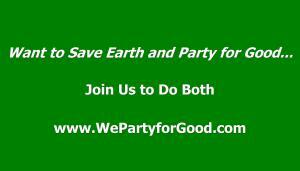 According to Recruiting for Good, Founder Carlos Cymerman, “We first launched 'We Party for Good' in April 2014, collaborating with Andrea Feczko, Ultra Spokeswoman and EDM reporter, she inspired 'Save Earth and Party for Good.' And we decided to bring this timeless fun cause back. But now offer more rewards to people who successfully participate and help us kickass for a good cause." 3. 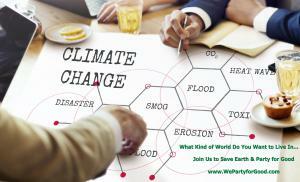 Recruiting for Good donates $500 to a cause listed on 'We Party for Good,' and rewards $1,500 toward flights, hotel, or tickets to experience the World's best parties. Carlos Cymerman adds, “Now you can help your friends find awesome tech jobs, save earth, and party for good."